Look how good this is! 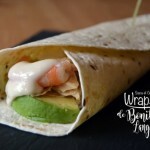 White tuna, avocado and prawn wrap sent to us by Margarita! An easy to prepare recipe with delicious results... Ideal for a relaxed supper! Cut the avocado in half, remove the bone, and peel and slice. 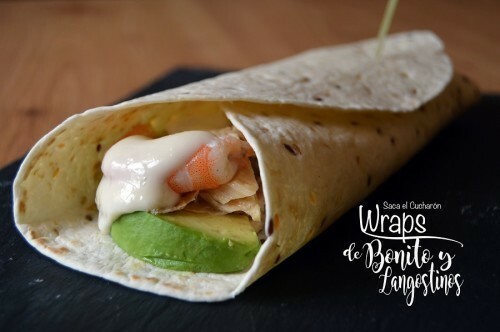 Place on top of the wheat tortilla the sliced lettuce, grated carrot, sliced avocado, white tuna, the onion sliced in rings, the cooked and peeled prawns and a boiled quail egg, cut in half. Roll out the tortillas and it’s ready! Fast, easy and very appetizing. Thanks, Margarita! White Tuna (Albacore) loins carefully selected by “Serrats” Preserves, in olive oil and packaged in a glass jar.